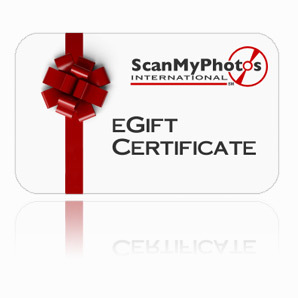 ScanMyPhotos.com started out in 1990 as a boutique retail photo center in Irvine, California. Originally named 30 Minute Photos Etc., we offered fast and affordable photo processing for local customers. As technology evolved and we moved into the digital age, our founders Mitch Goldstone and Carl Berman realized that photography and, most importantly, the way we store photos, was changing for good. They seized the opportunity to shift the company’s focus from processing to scanning and brought the company online to reach a global audience. Today, ScanMyPhotos.com uses cutting edge technology and a team of trained professionals to offer photo, negative, and slide scanning, video and film transfer, and photo restoration services to millions of customers around the world. Our company president, Mitch, is recognized as a leader in the photo industry and regularly sought out as an expert by the media. Because so many people entrust us with their family’s memories, we have always been dedicated to providing top-notch customer service and improving upon existing technology. As a result, we commercialized a new type of scanning technology that allows us to safely digitize and preserve millions of photos 3x faster than before in our 6,000 sq ft headquarters located in Irvine, CA. ScanMyPhotos.com is a division of Photos Etc Corp.
ScanMyPhotos was profiled by 5-time Emmy Award winning reporter, Dave Malkoff. Barron's Magazine gave ScanMyPhotos a 5 out of 5 star review, noting that the service is "worth a fortune." Popular Photography named ScanMyPhotos a "leader in digitizing prints"
The New York Times Personal Tech reviewer David Pogue has used and written about us. ScanMyPhotos.com was featured in a CNN story and in CNN anchor Christine Roman's book "Smart is the New Rich". The company was featured in The Washington Post, The Wall Street Journal, KTLA News and USA Today. Los Angeles Magazine named ScanMyPhotos as one of their top 100 favorite things, saying that "[ScanMyPhotos.com] has become the country's leading source for quick scans." Delta Sky Magazine named ScanMyPhotos an Editors' Pick. A great New Year’s project idea from USA Today – digitize your photos, and let ScanMyPhotos do all the work. CNet suggests you let ScanMyPhotos handle your photo scanning project.